Thank you to the EPEF and the Curt Patterson Memorial Fund for helping to provide an amazing opportunity for the 8th grade orchestra at FMS. 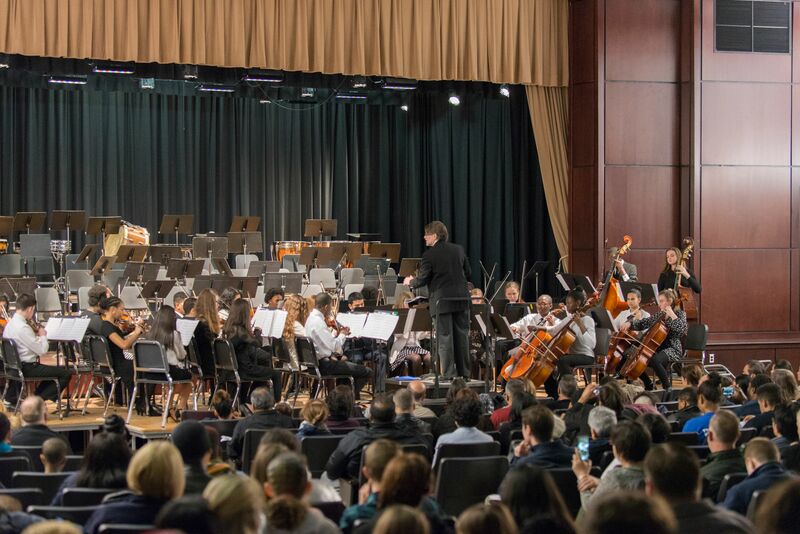 The orchestra commissioned and gave the world premiere new piece of music composed by Dr. Steven L. Rosenhaus. Dr. Rosenhaus serves as Adjunct Assistant Professor of Composition at NYU Steinhardt’s Department of Music and Performing Arts Professions. 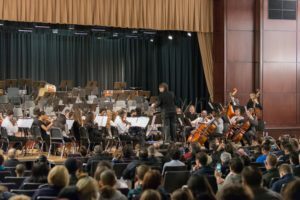 The title of the piece is “Con el Viento” (“With the Wind”) and was premiered by the 8th grade orchestra at the Winter Concert on January 17, 2019. The title was created by 8th grade student and violist in the orchestra Jayden White. Before the premiere, Dr. Rosenhaus visited the students to rehearse the piece and provide valuable feedback. After the successful premiere, conducted by the composer, Dr. Rosenhaus visited the orchestra again to listen to original student compositions and give them insight into the work of a composer. Thank you again to Heather Raub, and the EPEF for providing this unforgettable experience to our students. ‘I’m am so thrilled that we all made this happen! The kids had such a great experience and exposure to something they might not have had otherwise. It is so important to bring opportunity and possibility to the students.